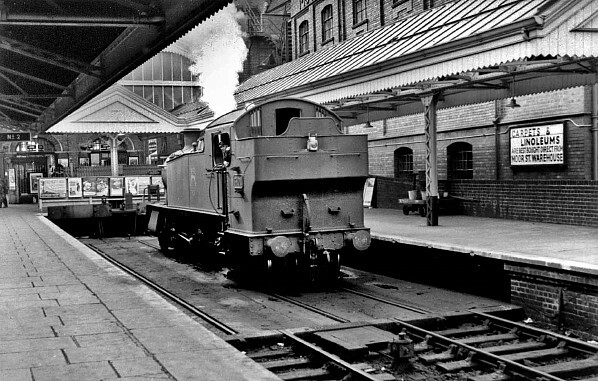 An ex-GWR Collett class 2-6-2T on the traversing table moving from platform 1 to 2 in May 1950. The loco is a Collett development of the Churchward 3150 design and would have been rebuilt at Swindon Works in around 1907. The ex-GWR running in board is the main focal point of this shot in July 1957 with plenty of stock standing in the small goods yard sidings to the north of the station. 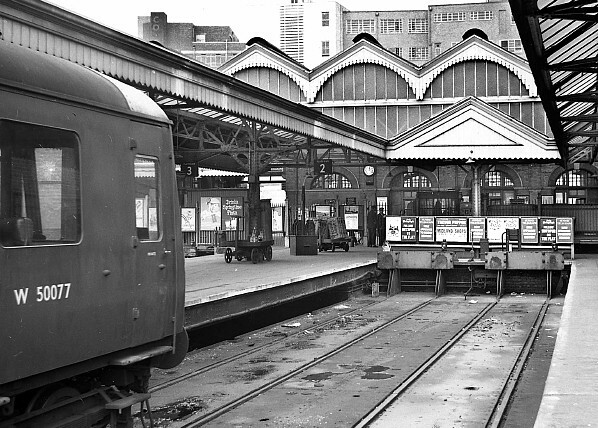 A class 116/2 unit stands on the traverser at the buffer stops in the late 1950's these untis were still in use on the Moor Street services until closure in 1987. 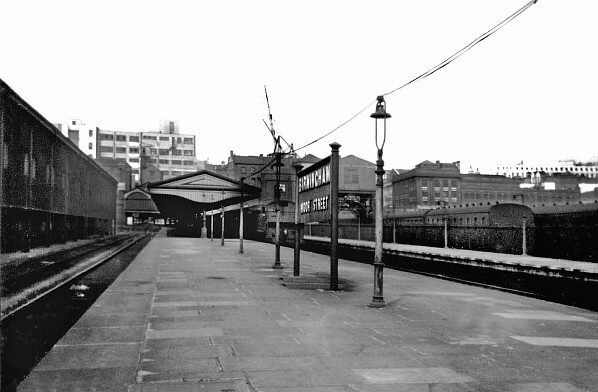 A class 103 Park Royal DMU coasts along the Moor Street branch having just passed the ex-GWR box located at the east end of the station in July 1966. 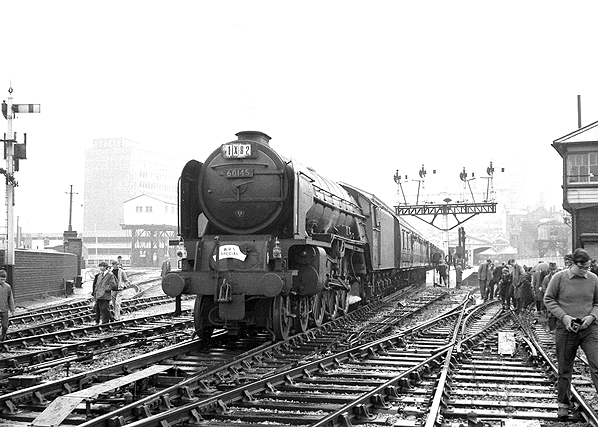 A WRS special is inspected by enthusiasts as it awaits departure from Moor Street, at the head of the train is Peppercorn designed A1 class 4-6-2 no 60145 Saint Mungo on a very wet 5 September 1965. 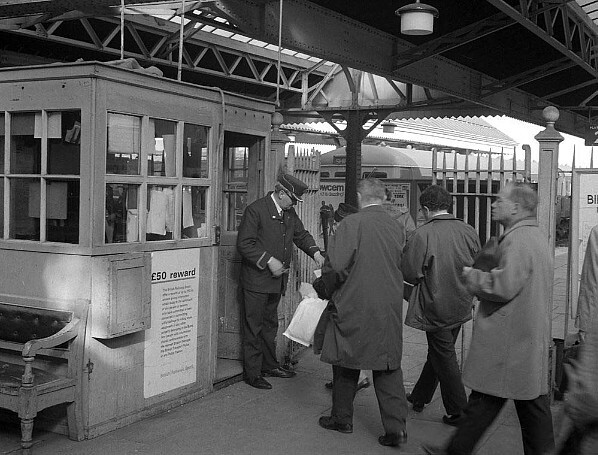 A ticket collector in full BR uniform checks the tickets of commuters heading home on 24 April 1969. 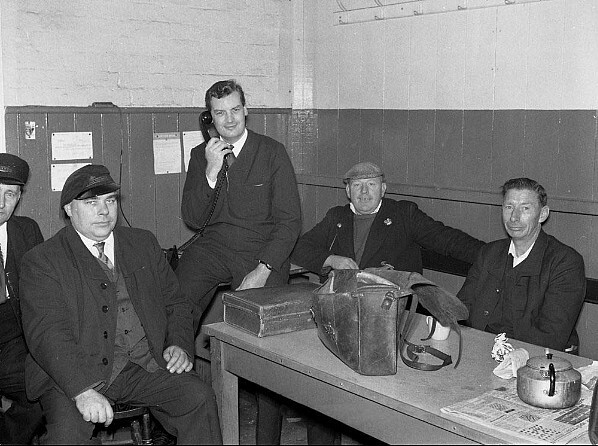 Drivers in the mess room at Moor Street station on 14 October 1969. 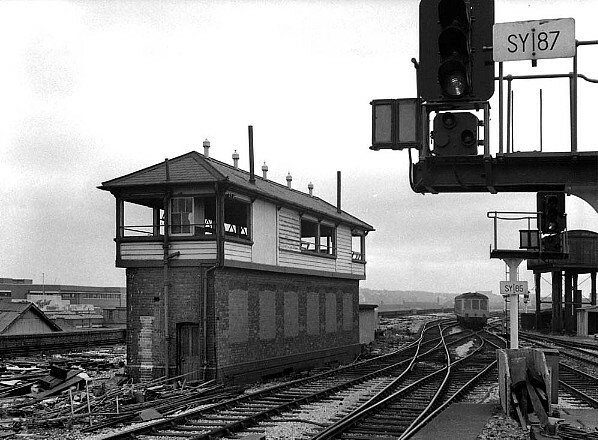 The GWR box derelict following the LMR decision to close the through lines to Snow Hill as can be seen from the signal identification plate Saltley now assumes responsibility for signalling in the area. 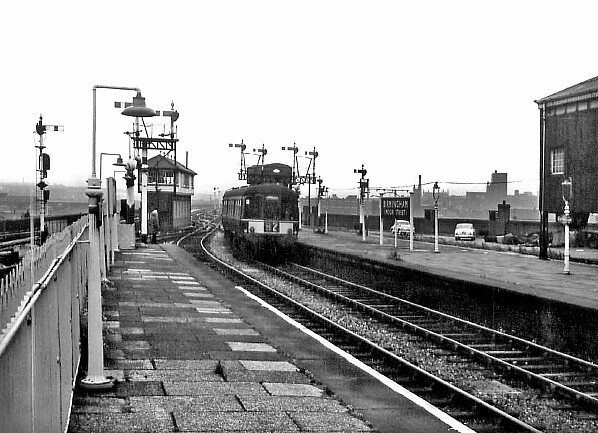 The through lines have already been lifted but the GWR water tank survives and can be seen to the right of the arriving class 116 DMU. 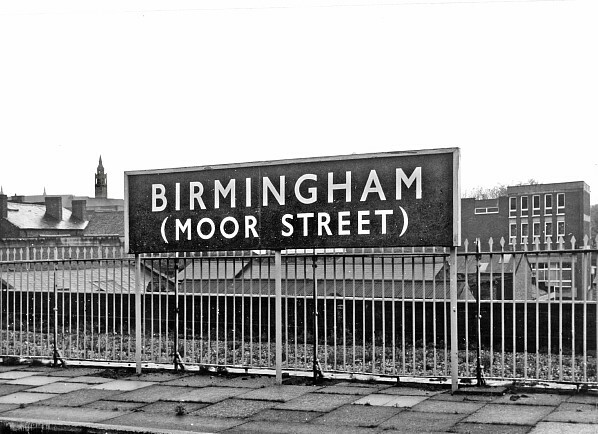 Birmingham Moor Street's BR style running in board seen in October 1970. 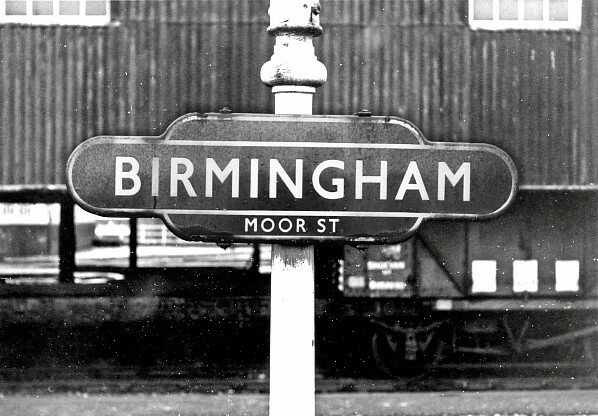 The ex-Western Region Totem at Moor Street in October 1970.